Pour your focus on your team. 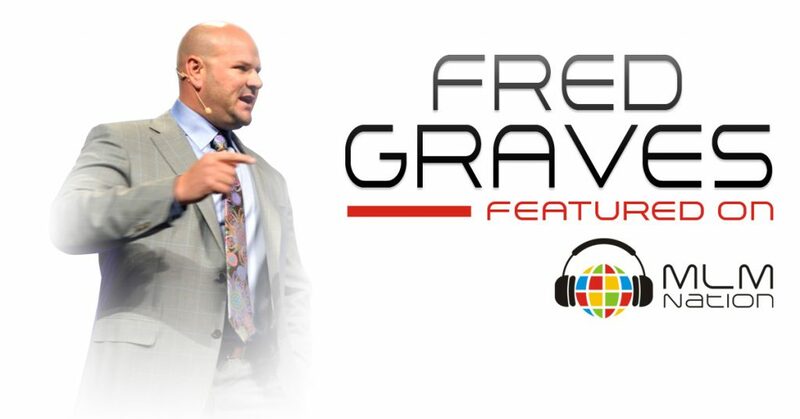 Fred Graves shows us that you have to learn to love other people; embrace their goals and why they’re doing this. Also, success in the industry occurs when you stop focusing on your own personal goals. Fred Graves dropped out of school at 16 years old, started a traditional construction business, and made his first million at the age of 24, only to lose everything at 27 years old. It was during that time he discovered MLM, enrolled, and left only $200 to his name. Fred was able to double his money in his first 2 weeks, and today, he’s a multiple six figure earner, and has 2 elite positions in his company.